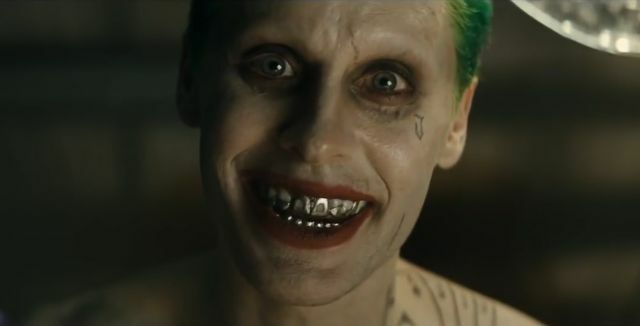 In a very candid response on Twitter to a fan, writer and director David Ayer said he would have made Jared Leto’s Joker the main Suicide Squad villain and the story more grounded if he could go back in time and do it again. “I took inspiration from the insanity of the original comics. Making a movie is a journey, not a straight line. I learned so much. People want what they want, and everyone has a personal vision of how each character should look and walk and talk. If you set out to make a mass appeal movie, it’s easy to end up with vanilla. But I went for it. And I know Squad has its flaws, Hell, the World knows it. Nothing hurts more than to pick up a newspaper and see a couple years of your blood, sweat and tears ripped to shreds. The hate game is strong out there. “The movie was wildly successful commercially. And the World got introduced into some very cool characters in the DC Universe. And that success is due exactly to the wonder and power of DC, of its characters. Would I do a lot of things different? Yep, for sure. Suicide Squad, which was made for about $175 million, grossed $745.6 million worldwide last year, with $325.1 million of that coming from North America and $420.5 million earned overseas. Since the release, it’s also been announced that Ayer will reteam with Margot Robbie on a Gotham City Sirens movie, which will feature Robbie’s Harley Quinn front and center. More female DC Comics characters will be introduced in the film, with possibly Catwoman and Poison Ivy being main characters. Suicide Squad stars Will Smith, Margot Robbie, Joel Kinnaman, Viola Davis, Jai Courtney, Jay Hernandez, Adewale Akinnuoye-Agbaje, Ike Barinholtz, Scott Eastwood, Cara Delevingne, Adam Beach, and Karen Fukuhara in her feature film debut.